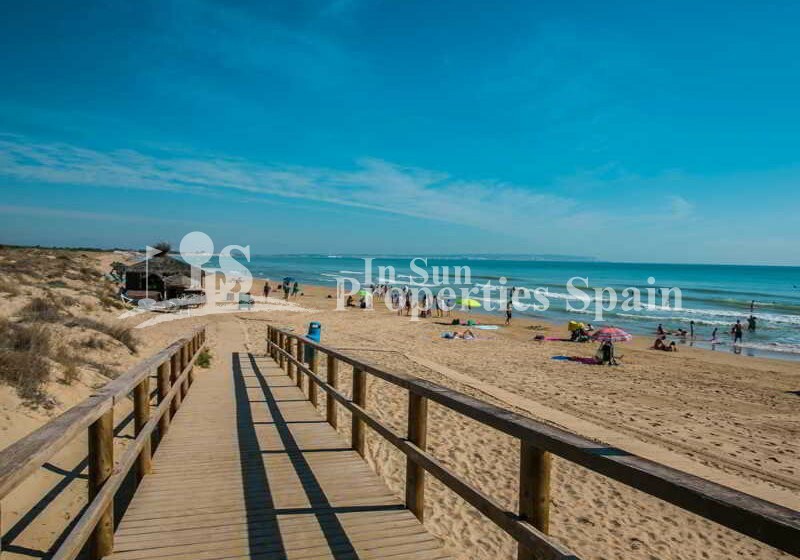 Superb opportunity to buy a lovely decorated resale villa in the sought after location of Urb LA MARINA, ALICANTE. The attached southeast facing 100m2 villa on a 145m2 plot has 3 double bedrooms, one on the ground floor, all with built-in wardrobes, 2 bathrooms, again one on the ground floor, fully fitted kitchen and ample terraces. Apart from the sunny roof terrace, there is a private pool and off-road parking. 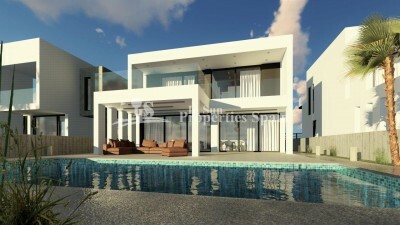 This uniquely designed and decorated villa is located in the charming urbanisation of Marina Villas, with all local amenities in walking distance, close to the lovely sandy beach. 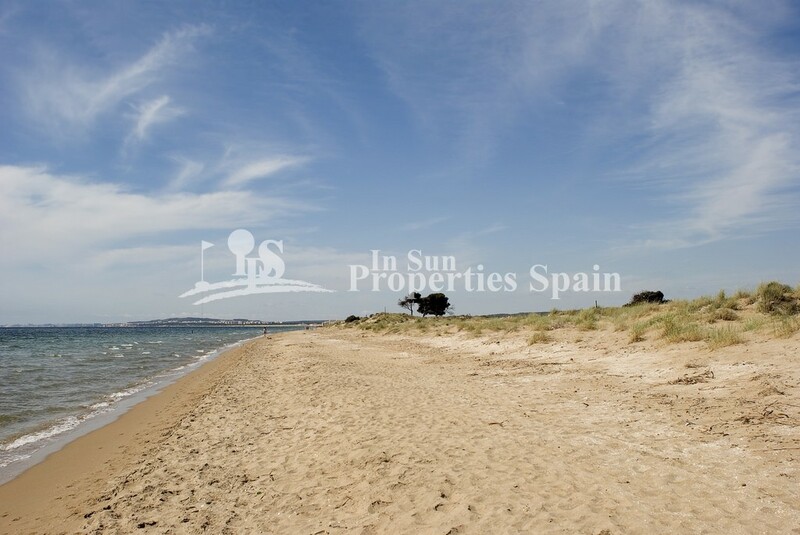 The sandy beach at La Marina stretches some 17 kilometres from Santa Pola to Torrevieja. La Marina has developed its own charm and in the summer it pulsates with life. During August many Spanish families spend their holidays here with picnic gatherings in the pine woods close to the beach. La Marina is approximately 30 minutes drive from Alicante airport.